A Gainesville resident, 40-year-old Amanda Forrest, has been ordered to complete a 120-day shock prison sentence beginning in December. Forrest will also have a five-year back-up sentence available for the court to impose or execute if she does not successfully complete probation without violations. The Ozark County Times reports earlier this month Forrest entered an Alford guilty plea to financial exploitation of an elderly or disabled person. An Alford guilty plea, also known as a "best interest plea," means Forrest asserts her innocence, but believes the prosecution has enough evidence that a jury would convict her of the charge against her. Defendants who enter Alford pleas can be sentenced as if they had submitted a straight guilty plea. Forrest also submitted a straight guilty plea to animal abuse, a class "A" misdemeanor. The charges were filed in connection with allegations Forrest made a "false promise" in December 2017 to care for the animals and property belonging to an 80-year-old man, who was reportedly in an incapacitated state in a long-term care facility. According to the probable cause statement in the case, an Ozark County Sheriff's deputy responded to a report of people loading items into a truck at a residence on County Road 511 in April. The person reporting the incident said a car and an SUV were missing from the property. The deputy learned the owner of the residence had been hospitalized in Mountain Home from January until March and was transferred to a long-term care facility in Willow Springs. A social services director told the officer the resident had been "in an incapacitated state" since his arrival. When the deputy arrived at the man's residence, he saw tire tracks at the back of the house "and drag marks where someone had recently drug a heavy object and loaded it into a vehicle." While law enforcement was at the house, Forrest and two other people arrived. The two passengers in the truck told the deputy Forrest had "promised them money in exchange for helping her load and haul items to another location where a person was waiting to purchase them." Both passengers reportedly told the officer Forrest told them she had permission to be at the residence. Forrest admitted to the deputy she had taken items from the home, but said she had the owner's permission in order to pay for feeding the cats and dogs. In March, an individual had discovered several animals in the residence dead or near-death. A deputy responded and found between six and nine dead cats inside the home and two dogs near death. The deputy reported "the animals left in her (Dobbs') care "were abandoned and locked in the home where most died from lack of food and water." When asked about the two missing vehicles, Forrest said she wrecked the SUV and sold it to someone in Arkansas for $200. The deputy showed the Gainesville woman photos of the household items and appliances reported as missing, "which appeared to be on her Facebook page. Forrest was attempting to sell these and other items for cash on Facebook sites such as Mountain Home Online Yard Sale." 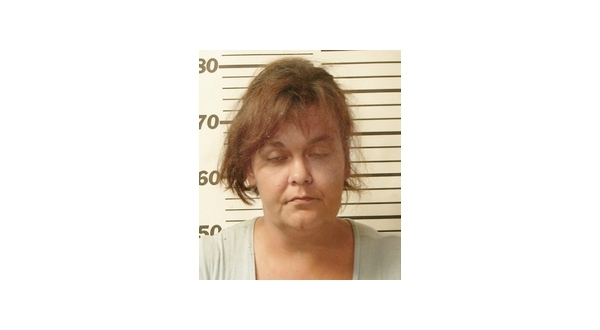 Forrest said she sold the items in order to pay the elderly resident's bill at a Gainesville veterinary clinic. In April, the deputy contacted a person in Mountain Home who had posted a Facebook advertisement offering cash for old cars. The man told the officer after Forrest contacted him, he drove to the victims Ozark County residence and purchased the two vehicles from the Gainesville woman, paying $200 for each vehicle. The man said he had crushed the car, but he still had the SUV.